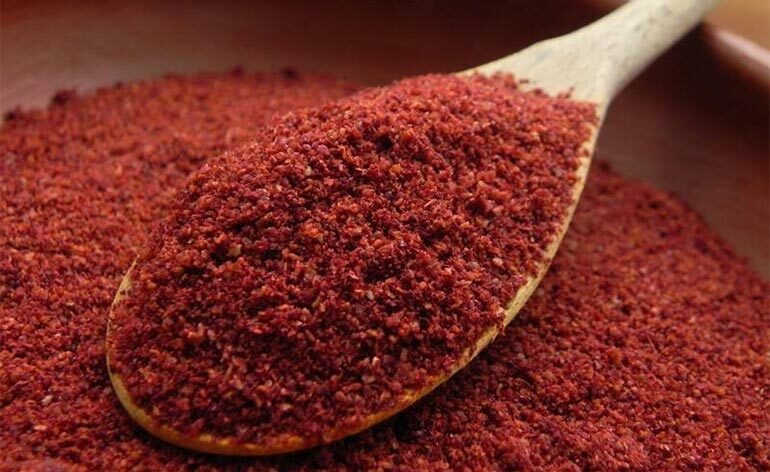 Home » Diet » Top 5 Health Benefits of Sumac! Using dried sumac for its deep tangy, lemon-tasting flavour is becoming more and more popular in the culinary world, moving outside of its Middle Eastern roots. 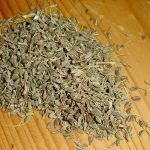 Added to a number of meat, rice, spice mixes and meze dishes, or even used as a whole fruit to make sumac-ade, this spice is a tasty friend to have in the cupboard. But, did you know it has a long history of being used for medicinal purposes? Feast your eyes on these Top 5 Health Benefits of Sumac! Full of immune boosting vitamin C with its flavonoids and polyphenols, Sumac has the ability to neutralize the free radicals in our bodies that can create health problems such as heart disease and cancer. This antioxidant ability also assists with reducing the signs of aging. The anti-inflammatory properties in sumac make this dried spice a great addition to your diet. Reducing the risk of heart disease, stroke and conditions such as arthritis, skin eruptions and inflammation, urinary infections and respiratory problems. Sumac is known to have naturally occurring compounds with antimicrobial activities. Studies have shown that it has been found to work against a number of pathogens, including Salmonella bacteria. The rich water-soluble tannins found in it are well documented for their antimicrobial properties and have been used for these benefits since medieval times. Sumac has anti-fungal fighting abilities against human pathogens. In one study, it was shown to help treat Aspergillosis, which is a lung infection that causes wheezing and coughing. This dried powder can also play a part in managing blood-sugar levels for diabetes and pre-diabetes. With studies showing a significant decrease in insulin levels after consumption, it is a promising spice to assist with managing diabetes. Sumac has a documented, long history dating back to the 11th Century for being used both in a culinary as well as medicinal capacity. Full of vitamin C and minerals, such as potassium, calcium, magnesium and phosphorous, it has a natural health benefit profile that is hard to beat. Not only does it taste great with a stunning colour it’s definitely a healthy addition to your wellbeing, so cook up a storm and create something wonderful. Want to use foods such sumac to radically improve your health, lose weight and enhance your beauty? Then you should definitely click here and get a copy of this. 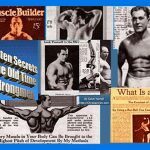 Drop some of those repeat prescriptions, because these superfoods are the all-new, REAL and permanent medicine! We’d love to hear about your recipes using sumac! If you found our article helpful, please share and tell us your recipes in the comments below, join in the conversation on Facebook and follow us on Twitter & Instagram.